Defiwind Caribbean is the third addition to the Sorobon Masters Foundation family. Read below about the goals, growth & support of the foundation. The result was the first Sorobon Masters in 2013, organized by The Sorobon Masters Foundation: a slalom and freestyle race at Lac for all ages and nationalities. The goal of the foundation was (and still is) to help the local windsurfers improve their skills and attract more local (financial) support from (local) companies, the tourism office and the government. 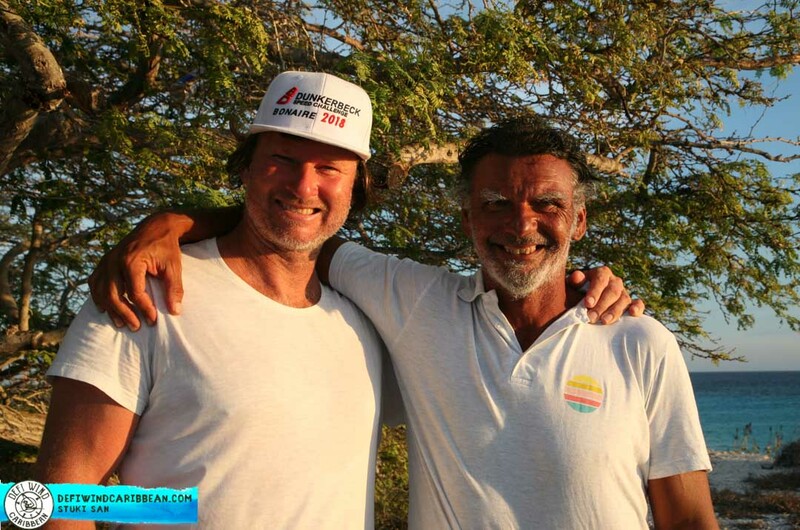 In order to get the financial support for local windsurfers the foundation first has to prove to the local establishment that Bonaire is the perfect windsurf destination and that the windsurfer is a loyal and great visitor to have on Bonaire. Local Bonairian windsurfers are the best ambassadors for our small Caribbean island! Think about it – in 2012 there were 39 freestyle men competing in the PWA with 6 competitors from Bonaire and 5 ended up in the top 10! With all this potential for promoting Bonaire as one of the top windsurf destinations, there is no (serious) support is given by the government or tourism office. This puts the local windsurfers in a difficult position – if you don’t have a sponsor (parent or relative) to financially support you it is virtually impossible to attend the world events. The focus and financial support from local companies, government and the tourism office is still not on the wind- kitesurf market while Bonaire has the best natural resources to be the best and most well-known windsurf destination in the world. Until that time (June 2013) there were only two windsurf events/races on Bonaire, Prokids (2019 would be the 15th year) and the Copa Julia, both organized by The Windsurf Place and Aquaspeed. Prokids is a freestyle/ slalom event for kids and attracts kids from the surrounding islands, Curacao and Aruba. The Copa Julia is a more locally-oriented windsurf event for all ages. In 2015 we invited Bjorn Dunkerbeck (42 world titles), in order to attract more international attention for the events. Bjorn immediately fell in love with Bonaire and its windsurf possibilities. He came up with the idea to also do windsurf races on the West side of Bonaire, in front of Kralendijk. This way companies that believed that windsurfing can only be done in Lac, could see that it might be close and interesting to them as well. In order to maximize the potential of the West open waters, Bjorn called Philippe Bru, organizer of the famous DefiWind to check if he would be interested to organize the DefiWind Caribbean in Bonaire. The event would include long distance racing for 40km in open waters. Currently the world-wide events host more than 1,400 windsurfers! 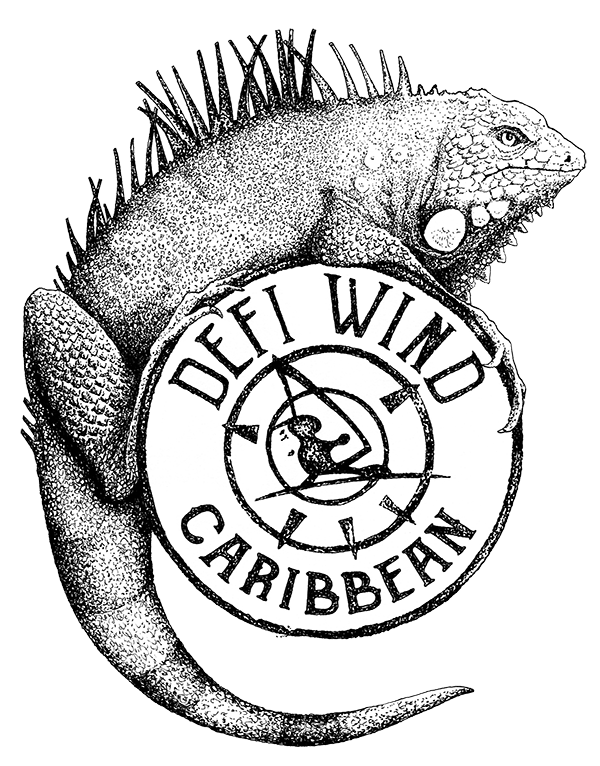 Once arrived, Philippe grew fond of the island immediately, and in 2016 DefiWind Caribbean was born. With the exposure provided by the event we were able to reach France, which has, together with Germany, the most windsurfers worldwide. 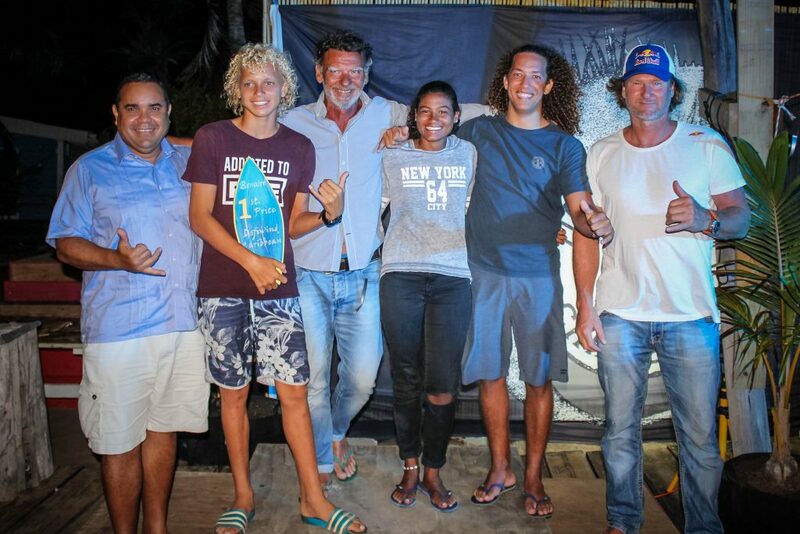 In the same year we added the third windsurf event in the list during Sorobon Masters, the Dunkerbeck GPS Speed challenge. The speed race allows high-quality speed tracking via GPS wristwatches. The event is supported by Bjorn Dunkerbeck – the holder of the World Sailing Speed Record Council Nautical Mile. Currently, with the three events, we are able to reach approx. 800 thousand to 1.5 million windsurfers worldwide and are able to offer the perfect racing and competition conditions for ages and levels! 95% of the events have been financed by Sorobon Beach Resort, until 2017 when the resort refused to continue such immense funding. This resulted in the foundation filing a governmental budget request to pay 50% of the event costs. Due to lack of response and approval by beginning of 2018, the events were due to be cancelled. 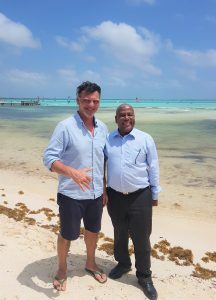 On March 16th 2018 James Kroon came to Sorobon Beach Resort on behalf of the government of Bonaire to inform the core members of the foundation: Phillipe Bru (Defiwind), Jan Hendrik (Sorobon Masters) and Annette (Sorobon Beach Resort) that the Government would grant the requested funds for the next three years as long as the resort would guarantee the same amount for the events. Thanks to this official approval from Mr. James Kroon we were able to start the 2018 events and we will be able to continue the events for at least until 2020. Thanks to the financial support of the Sorobon Masters Foundation, the local winners of the Defiwind Caribbean 2018 will go to France to participate in the famous DefiWind Gruissan! Bonaire will be present in Gruissan, France with Alyssa Wijnand, Jay-Anthony Nicolaas, Aron Etmon, Taty Frans and Nigel Hart.